Love makes the world go round, and every four years Cupid gets an extra day to do his stuff: on 29th February, women no longer need to worry about the death penalty if they want to ask their boyfriends to marry them. But the extra day isn't just handy for archaic patriarchic nonsense: it's great for tech too. The end of February brought us so many cool bits of tech that the world needed an extra day just to fit it all in. Do you like smartphones? Do you like tablets? Do you like Spain, and Ice Cream Sandwich? Then MWC 2012 was the place for you this week: the Barcelona mobile tech-fest brought us marvels such as the LG Optimus 4X HD, the HTC One X, the ZTE Era and the LG Optimus Vu. 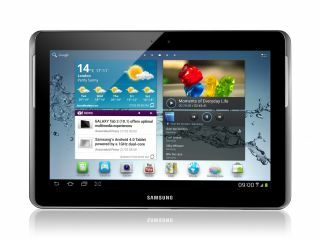 Despite the odd Lumia, MWC was mainly an Android affair, with new goodies including the superb Asus Transformer Pad Infinity, the Samsung Galaxy Tab 2 10.1 and the Samsung Galaxy Note 10.1, a proper-sized tablet version of Samsung's odd five-inch tablety-phone. We suspect that other manufacturers are keeping their powder dry for a bit longer: Apple's iPad 3 teaser invitation for next week's launch stole some of MWC's thunder, grabbing headlines that Google's Eric Schmidt would no doubt have preferred to have had for his MWC keynote. "Windows 8 is a bold new vision from Microsoft, embracing touch with its new Metro interface and hoping to prove that the operating system can move seamlessly into the next generation" - and you can get it now, for free, because Microsoft is making it available to anybody who wants it in what it calls the Windows 8 Consumer Preview - check out what we thought of it in our Hands on: Windows 8 review. One of the big new features of Windows 8 is apps, and in a nice touch Microsoft is giving everybody free ones: speaking at the Consumer Preview launch, Antoine Leblond, corporate VP of Windows web services, announced that all Windows Store apps would be free throughout the preview period. You can download and run the Consumer Preview for free right now, and it's an extraordinary bit of software: we think that on tablets in particular the Windows Phone-esque Metro interface is going to be an absolute hoot. Acer certainly thinks so: while its Windows 7 tablets weren't universally adored - "we were not sure when we made our Windows 7 tablet who it would appeal to", Acer told us, it reckons that "Windows 8 is already a completely different story." We think it is too. Do let us know what you think of it.